The Edinburgh International Film Festival started up on Wednesday night. I am lucky enough to be involved in a Young Programmers group in my city of Aberdeen, and from that I got the chance to travel down to Edinburgh for the weekend and take part in the festivities. These two days were full of screenings, workshops and talks and in this blog post I will share with you all of the events I went to, what they consisted of, and what I learnt from my experience at EIFF. I love Edinburgh as a city. I love the culture and landscape of Edinburgh, and this was really brought out for the festival. Held over multiple buildings along the Royal Mile, the city was painted green through the banners and feature walls highlighting the event. Before we went along to the first event of our trip, we sat down at the Filmhouse cafe for a quick drink. They were getting into the spirit of the event, with their bright green wall and books galore. You wouldn't be able to miss the event, even from a mile away. It is great that festivals like these get a lot of attraction. EIFF has been running for 72 years, and it just seems to be getting bigger and bigger. I would love for my city of Aberdeen to have a film festival that reaches this scale, but to have film festivals especially in Scotland is so important for our culture. Scotland is finally getting recognised for films, so hopefully this trend continues throughout the years. 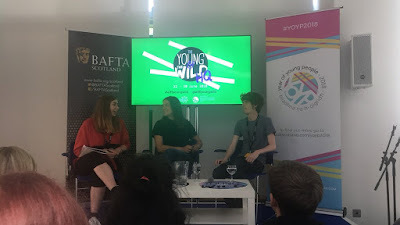 The main reason why I was able to go down to the Edinburgh International Film Festival was thanks to a youth project they run called The Young and the Wild. This project consists of 15-19 year-olds called the Young Programmers as they get to help pick the films the festival shows, as well as run workshops and classes for young people to get inspired from. I am a Young Programmer, and whilst I didn't get to pick any films this year sue to our project starting up recently, this allows me to get involved in film programming and hosting festivals in the future. This launch party had people all across the UK come along to communicate, meet and collaborate on projects and talk about film. This launch party focused more on congratulating the people who set up the event, thank the mentors who helped along the way, and let us talk to other young people who are interested in film. This was particularly well done as we had to go on a quest to find someone that we drew out of the hat, and talk about their favourite films with them. The event I feel could have been a little more organised. The space was gorgeous, but it almost seemed too cramped for the amount of people throughout the two days I was there. As well as that, I was a little bit said that the patron of The Young and the Wild, Karen Gillan, couldn't turn up due to scheduling conflicts. Not only am I a huge fan of her, but it would have been nice to see her talk to the people who participated in the event and to get advice from her about getting into the industry. Overall though, the launch party was a success. Film Premiere: C'est la vie! Since I was there for only two days, there was not going to be much time to see many films. However, we did get one premiere in and it was such a fantastic film. C'est la vie! is a French comedy that focuses on the disasters that happen in this specific wedding, and how the characters react to the mess that is happening behind the scene. My review of the film is coming soon, but in short, it is a fantastically funny movie that keeps an excellent tone with well rounded characters. This premiere was also matched with the fact that Eye Haidara, one of the main characters in the film, was there at the premiere. After the film was shown, she came to the front and answered a bunch of questions about what it was like behind the scene. Not only was she so nice and hilarious, but it was great to see the insight of the film, and how it worked having two directors instead of just one. This was probably the most important event of the entire two days. The Careers Workshop set up a panel of four inspirational women from a variety of film and TV backgrounds. To begin, they did a quick Q&A, to answer any questions that people may have about the business in general. They gave really good advice in terms of CVs, finding a career, and working your way up the industry ladder. This then broke into sections of 8-9 different tables, and being able to ask industry specialists specific questions. We were assigned tables to give us 15 minutes to talk to five different people that we chose from the list. They ranged from directors, cinematographers, talent managers, journalists and so much more. There was something there for everyone. It felt like the four people who spoke at the beginning were the most comfortable during these questions, as they seemed to know the most about the layout and focused on us the most. Despite this though, I was most interested in the News and Journalism table. 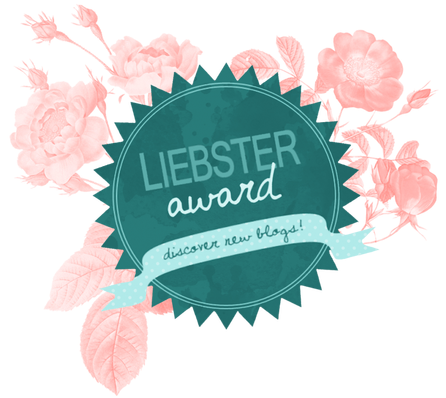 Obviously I love blogging and writing, and I am away to study English at university. My main career goal is Film Journalism, whether that stays as a written format in a blog or newspaper, or visual and audio form through TV or YouTube. I aim to be a film critic, and therefore they were the people that could give me the best advice for moving forward. What was also nice about this event was that being placed in different tables, we got to chat and meet up with other young people wanting to get into the film and TV industry in one way or another. I was also shocked to see so many people who had come down from Aberdeen. This allowed me to actually give one or two people advice for where to start, and hopefully make some connections. This was a fantastic event and I could not recommend it enough. Nicole Taylor is an BAFTA Award winning screenwriter for her work in Three Girls. She has been writing for several years, and has a heavy focus on Drama TV and telling stories about hard-hitting subjects such as grooming and cancer. This talk was a forty-five minute interview, in which she talked a little bit about her career and how she got into the industry. She was incredibly open and real, and she really came off as a fantastic influence. She was also very inspiring, giving advice to people about where they should go with their careers in screenwriting. She is someone that you would want to speak and learn more from. Urszula Pontikos is the cinematographer of the 2017 film Film Stars Don't Die in Liverpool. This forty-five minute talk focused on her career, and mainly on the cinematography done in the film. She was such a humble person, and felt so down to earth. There were some brilliant shots done in Film Stars Don't Die in Liverpool, and she talked about how they were done. Just like with Nicole's talk, the floor was opened up to questions. I managed to get a question in, asking about the long-awaited nomination for a female cinematographer at the Oscars, and what that means in terms of being a female and seeing the success. It is great that females are starting to get recognised for their work, and also managing to get the work that they deserve. The two hosts were also fantastic in their presentation, and this was overall a fun event to be a part of. Unfortunately though, that was all I had time for at this year's festival. Whilst I wish I could have done a lot more, I still had a great time. If I had all of the time that I wanted, I would have seen more premieres and tried to meet some people (particularly Iain De Caestecker, someone I have loved for about five years now). Overall though, this is a fantastic event and I cannot wait until I am more involved next year, and to be there a longer amount of time as well. Have you gone to EIFF this year, and if not would you like to go along? Leave me a comment below and I will make sure to get back.